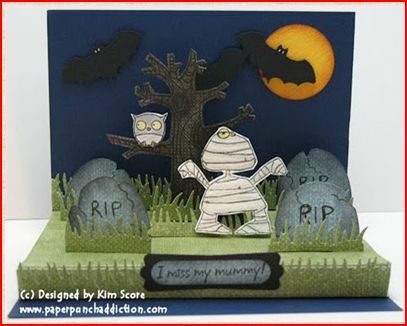 Here’s another fabulous tutorial from Kim Score over at the Paper Punch Addiction blog, it’s a pop up stage card. I love the stamps and punches she chose, what a fun Halloween card! Click here for instructions to make one for yourself.